This show-stopper of a Christmas party is set in a super-cool converted bank on King Street – now a flamboyant Italian eatery run by a certain well-known celebrity chef. 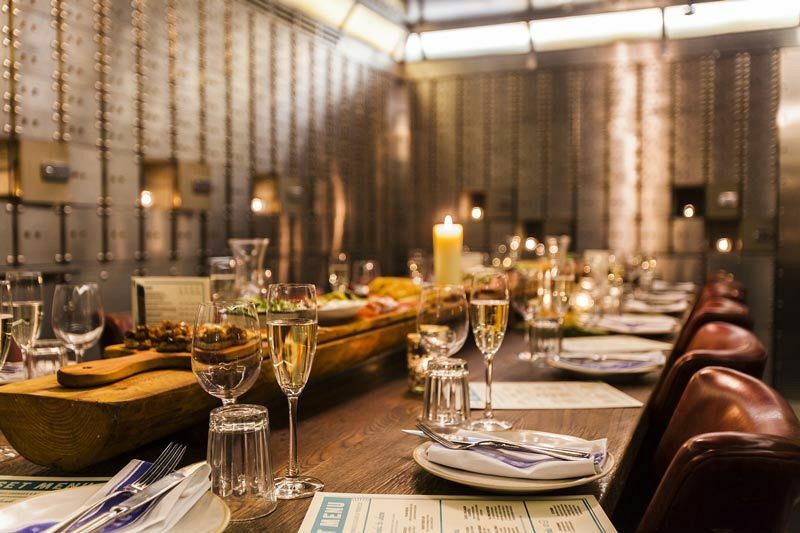 The restaurant is set over three floors – the former Banking Hall, with old booths to dine in; the mezzanine level, with its spectacular view of the whole restaurant, and the original Vault in the basement, which can be hired out just for your group. 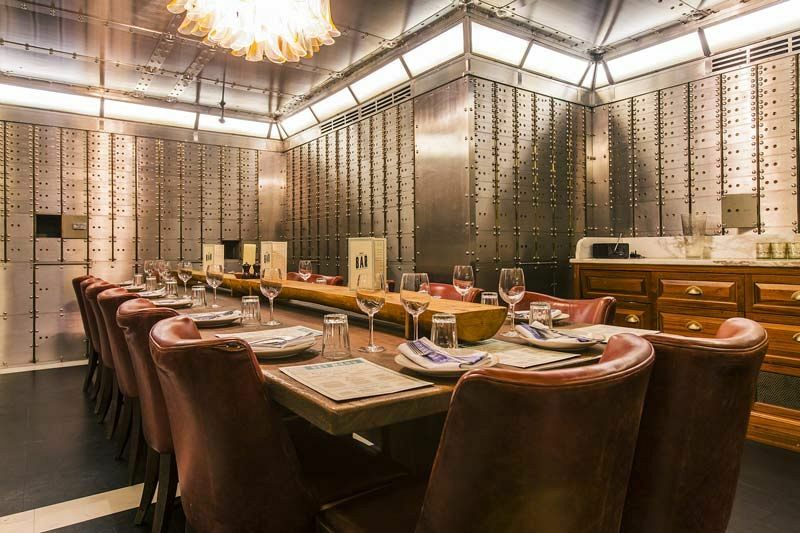 Accessed through its original steel door, this private dining room seats is a incredible space, where the walls are lined with hundreds of original, numbered safety-deposit boxes. Some of the safe doors may be open and filled with candles, making for a truly unique dining experience. 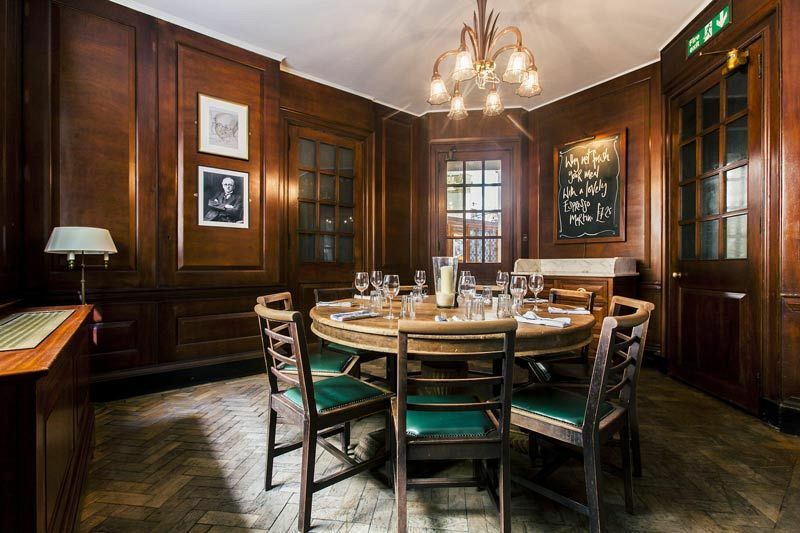 Large groups can also hire the old Bank Manager’s Office or the Secretary’s Office for exclusive dining on the main floor. While the setting is impressive, we know that to have a truly spectacular Christmas party, the food needs to stand out too. The festive menu here is filled with tempting dishes, evoking the vibrancy and passion of traditional Italian cooking. There’s plenty of choice for meat-eaters and vegetarians alike who want to indulge in a meal that’s straight-forward, yet special. 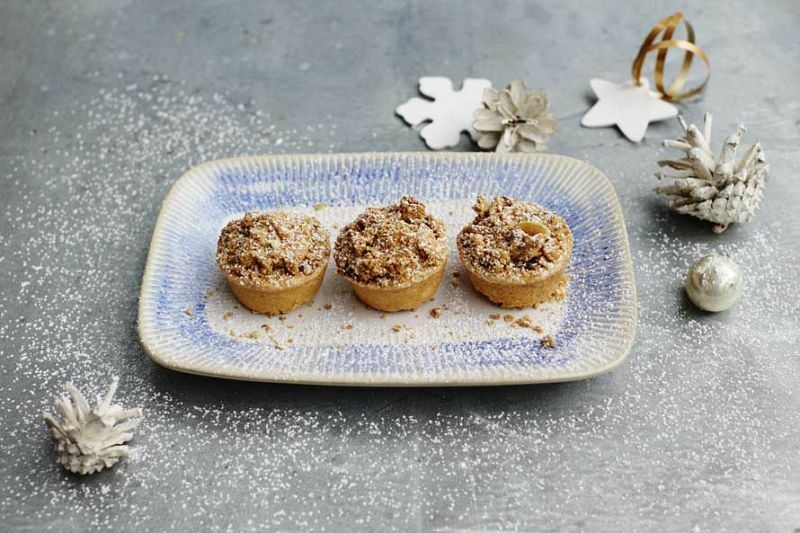 You'll have a choice of festive menus on offer, including the two or three course lunch menu which starts from £14.13 per person excluding VAT, or the three course evening menu with a glass of prosecco for only £41.67 per person excluding VAT. Get ready to celebrate this festive season in Manchester and experience a private celebration at this stunning venue in the city! Please note that the £14.13 menu is available Monday to Friday from 12.00pm – 5.00pm. Lunch menu - two or three courses.